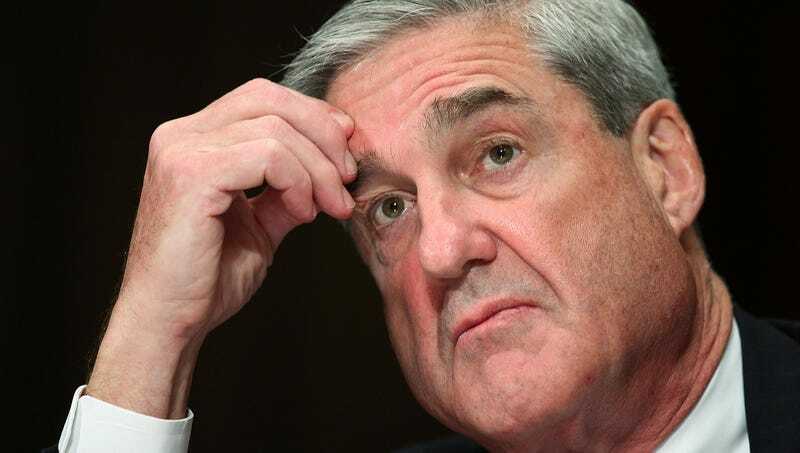 WASHINGTON—Taking a moment from his now-mundane life to address any lingering uncertainty about the outcome of the highly publicized legal ordeal, a confused Robert Mueller was forced to remind the nation Monday that the Russia Investigation wrapped up months ago. “Wait, doesn’t anyone remember? We arrested a bunch of people and shut down the whole thing. Where were you guys?” said the baffled special counsel, carefully recounting the FBI’s painstaking interrogation and evidence-collection processes, which culminated in a series of trials that had been televised and broadcast across every major television network. “Seriously, I was on TV every day for, like, six months straight. We got nine people arrested on counts of high treason and uncovered a 30-person ring of Russian dark-web cybercriminals. Remember? Is this seriously not ringing any bells?” At press time, Mueller bashfully acknowledged that most of the suspects were eventually released on legal technicalities.